Suddenly on July 21, 2013, Jeff, age 63 passed away at home in Audubon where he was born and raised. 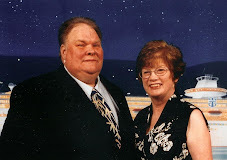 Jeff was predeceased by his beloved wife, Deborah (nee Thomas). He is survived by his devoted daughter, Rebecca (Peter) Szkotak; his cherished grandchildren, PJ, Payton and Allison; his loving sister, Linda Decker; his loving brothers, John and Keith as well as several nieces and nephews. Relatives and friends are invited to his viewing Wednesday morning, July 24th, from 9:00 - 11:00 AM at the HEALEY FUNERAL HOME, 9 White Horse Pike, Haddon Heights, NJ. His Funeral Service will be held Wednesday, 11:00 AM, immediately following the viewing with Pastor Don Painter officiating. Interment following the service will be private. In lieu of flowers, donations may be made in his name to the Oaklyn Cougar Association, PO Box 14, Oaklyn, NJ 08107.